Comedienne and actress played Andell Wilkerson opposite Brandy on "Moesha"
Yvette Wilson co-starred with Brandy on the 90's hit sitcom "Moesha." 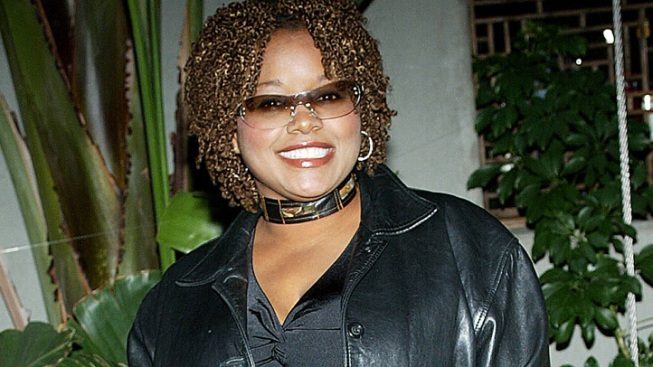 Yvette Wilson, a co-star on the 1990’s hit show “Moesha” died on Thursday after a battle with cervical cancer, her manager confirmed to EW. She was 48. Close friend Jeffrey Pittle told E! News Wilson was "a good friend, a talented actress and a very funny lady, both onscreen and off." "She will be sorely missed, but I'm sure her talent and humor will live on in her legion of fans," he said. "It's a small comfort knowing we can still experience Yvette through the work she left behind." Pittle had set up a website “Give Forward,” where he raised $13,000 towards Wilson's medical expenses, according to The Washington Post. Wilson’s former “Moesha” co-star Shar Jackson Tweeted on Thursday, “I wanna thank all my tweeties for their prayers but god has chosen to take my sister Yvette home." Wilson attended San Jose State University in California and later made regular appearances on Russell Simmon's “Def Comedy Jam,” People reported. She got her break in 1993, when she appeared on ABC’s sitcom “Thea,” which, like “Moesha,” also starred Brandy Norwood. She also appeared in “House Party 2,” “House Party 3,” “Friday,” “Don't Be a Menace to South Central While Drinking Your Juice in the Hood," and other movies. Wilson’s death was first reported by NewsOne. Suggested Reading: The Washington Post, EW, People,E!